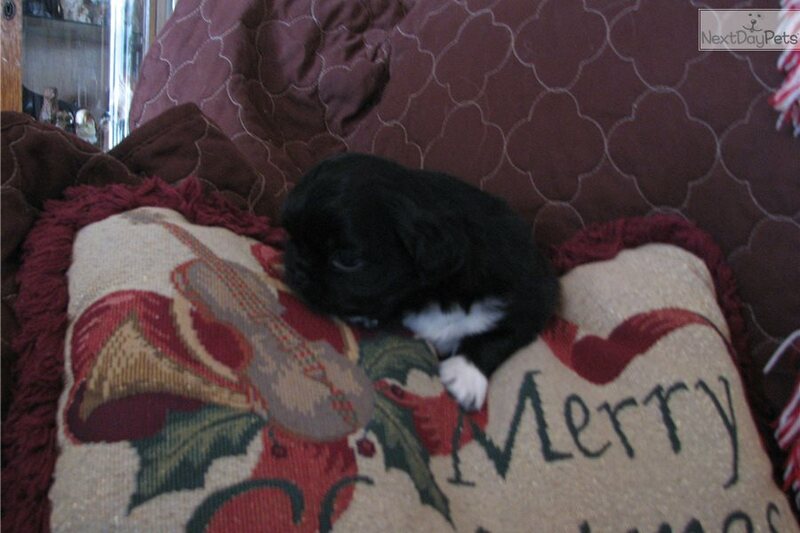 This Pekingese nicknamed Indy sold and went to a new family. This striking boy is perfect. Black with white blaze. He is full of energy and loves to play with his litter mates and aunts. He has been socialized and family raised with run of the house. He is crushing the pee pad training. Wants a perfect forever home.